Halo is finally getting the live action adaptation fans have been wanting for years. A ten episode series is coming to Showtime in partnership with Steven Spielberg’s Amblin Television, and is set to begin production in 2019. Rupert Wyatt, best known for helming Rise of the Planet of the Apes, will serve as executive producer and director of “multiple episodes.” Kyle Killen, known for TV dramas Lone Star and Awake, will be the showrunner, as well as writer and fellow executive producer. Pre-production efforts have already begun ahead of full production next year. Which of the best FPS games on PC would translate to the best TV series? Striking that balance has been difficult for videogame adaptations in the past, and those are just the projects that hit the screen. 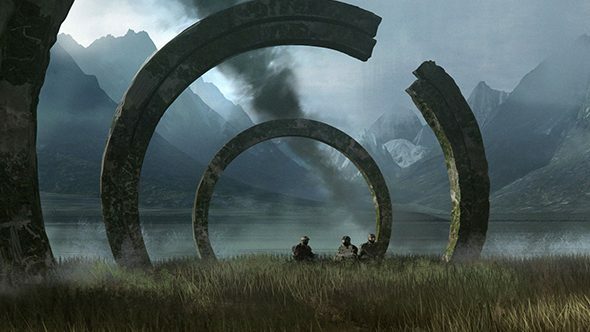 Many more efforts have died at various stages of planning, and we’ve heard rumblings of Halo movies and TV shows for decades – though none have made it this far into development. Of course, there have been live-action Halo projects, just none at this scale. Promotional series like Forward Unto Dawn have been nice tastes, at least, for what a proper series could be, though the most tantalizing was the short film from District 9’s Neill Blomkamp. It’ll likely be some time before we see more on the upcoming show, but it might just make it out before – or maybe right alongside – the Halo Infinite release date. It’s looking like an exciting few years ahead for the Chief.